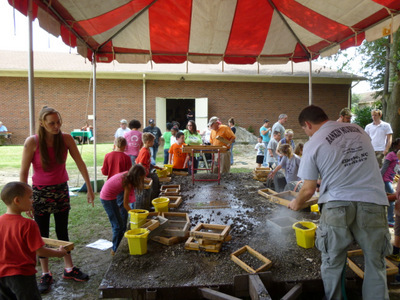 The Rankin Museum Fossil Fair was held Saturday, September 27, 2014. 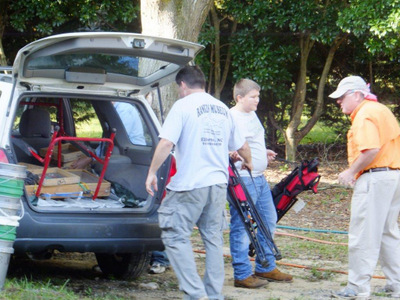 The staff and volunteers with the museum were ready and waiting for us to help unload our fossils and had buckets of Aurora material ready for the 120 kids and families coming for the hour classes at 9 am, 10 am, noon and 1 pm. 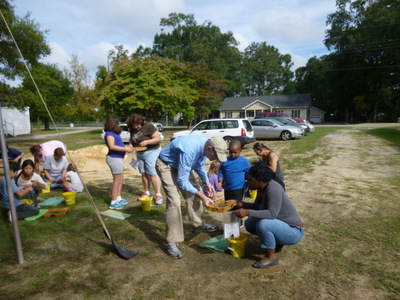 Dr. Bain brought an additional 6 buckets of fossil material, screens and extra knee pads for guests. Richard Chandler brought fossils to display and Joy Harrington had reworked material for tiny fossils and distributed fossil packets. Ruffin Tucker displayed inside the museum and worked outside as did Richard Chandler when the kids came. The weatherman gave us a perfect day for working outside. 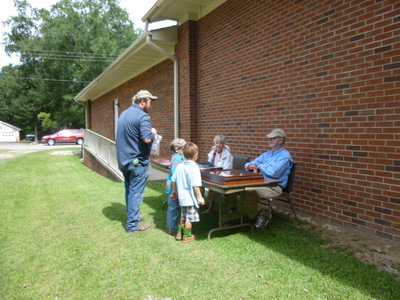 Paul Borodin, his wife and Gerard Case, members of the NCFC from Merrells Inlet, SC joined us with displays of fossils, and books and fossils for sale. Many families remained at the museum and enjoyed the wonderful collection of fossils, mounted animals, American and Amazonian Indian artifacts and local NC history.